dog urine smell from floors? ​remover and we are pleased with the results. bio-enzymatic formula deeply penetrates to eliminate tough pet stains and odors including pet urine, feces and vomit, discouraging the spread of unsanitary pet waste. The dust-action Pet-Block system removes pheromones (attractant scents naturally released by pets), and destroys odors on contact to prevent re-soiling. Faster drying formula helps minimize tracking. 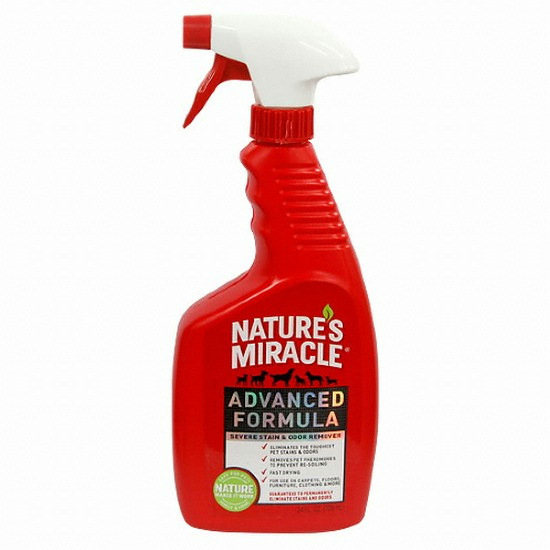 ​Use Nature's Miracle Advanced Stain & Odor Remover on carpets, upholstery, linens, shower curtains, clothing, blankets, pet bedding and any other place where you find stains. Safe andeffective, will also work on old and deep set stains and odors.